The impact brought by the contemporary transformations characterizes as being one of it’s central elements the administration processes of knowledge, in other words, the capacity to produce, to store, to prosecute, to recover, and to disseminate information and knowledges. In this context, education is one of the most important protagonists, where we have the main genesis of knowledge construction, consumption, and transfer process. It is unquestionable importance as a critical strategic factor for the development, creation, interference, and contribution by an effective form for man's progress. Following this conductor thread, the teaching institutions should integrate a new culture, allowing that the learning occurs in different places and by different means. The technology should be used, not only for existent computerization processes of teaching, but for the creation of new ways of thinking and learning. In this sense, search for the Total Quality in Education is the search for excellence in pedagogical, technical, and administrative processes of the school, where should converged the actions of properly qualified and pledged educators with permanent improvement in quality in education. By means of the exposed, this project aims to introduce the factors and structural components for the construction and administration of a model course in syntony with the arguments praised by the theories of Management Knowledge by Total Quality that enables, mostly, to supply the gap of the teachers formation’s programs concerning it’s technological training, encouraging the integration of modern technologies to the educational practice and suggesting new behaviors and new forms to produce, store, and transmit the knowledge, giving source of the new forms to think, do, and learn. New Information and Learning Technologies; Teachers' Formation; Knowledge Management by Total Quality. BELLONI, M.L. Educação a Distância. Campinas: Autores Associados,1999. BRASIL. Lei no 9394, de 20 de dezembro de 1996. Estabelece as diretrizes e bases da educação nacional. Brasília, Congresso Nacional. ___. Ministério da Educação e do Desporto. 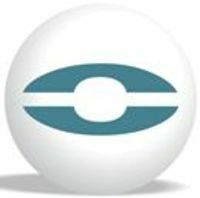 Programa Nacional de Informática na Educação – ProInfo. Brasília: Ministério de Educação e Desporto/SEED,1997. DEMO, Pedro. Educação e Qualidade. Campinas, SP : Papirus, 1998. DRÜGG, K. I., & Ortiz, D. D. O Desafio da Educação: A Qualidade Total. São Paulo: Makron Books, 1994. HARASIM, L. HILTZ, S.R., TELES, L. TUROFF, M. Learning Networks, A field guide to teaching and learning online. Cambridge, MA:MIT Press, 1995. LIBÂNEO, José Carlos. Adeus professor, adeus professora? Novas exigências educacionais e profissão docente. 4ª edição São Paulo: editora Cortez, 2000. LONGO, W.P. Entrevista concedida ao Portal Unirede. Informe Unirede no 26. Disponível em: http://www.unirede.br/entrelongo.html. Acesso em: 24 ago. 2001. MORAN, José Manuel. Novas tecnologias e reencantamento do mundo. Tecnologia Educacional, Rio de Janeiro, vol. 23, n.126, setembro-outubro 1995. 24-26 p.
PERRENOUD, PHILIPPE. Práticas Pedagógicas: Professor Docente e Formação. Lisboa: Dom Quixote, 1993. RAMOS, Cosete. Excelência na educação: a escola de qualidade total. Rio de Janeiro: Qualitymark, 1992.